If you’re anything like me, you love glamorous vanity items and collectibles in MMOs. 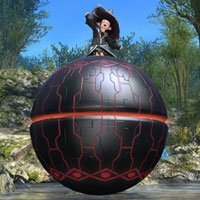 This is a guide for obtaining (almost) all of the mounts available in Final Fantasy XIV broken into categories. 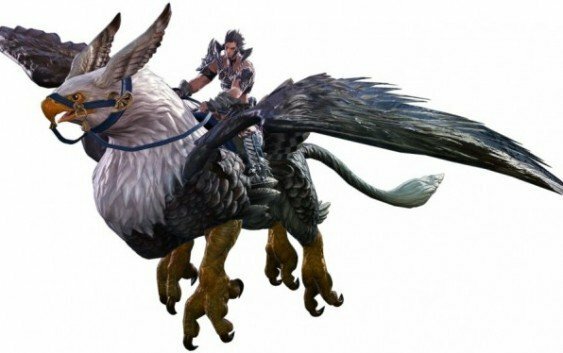 I say “almost” because there are two mounts that are only available to players from the original iteration of Final Fantasy XIV Online, The Goobbue and The Legacy Chocobo. Also, the Gobwalker mount is speculated to be a drop from the final floor of Alexander Gordias (Savage), but no one has beaten that yet, so we’ll wait for now. The rest, however, are open for the taking! 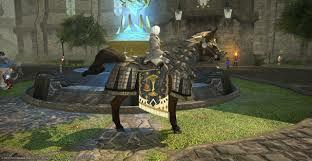 There are five mounts that you obtain in this game simply by playing through the main story quest. Please note that the last four of the five cannot be obtained before you hit level 50. 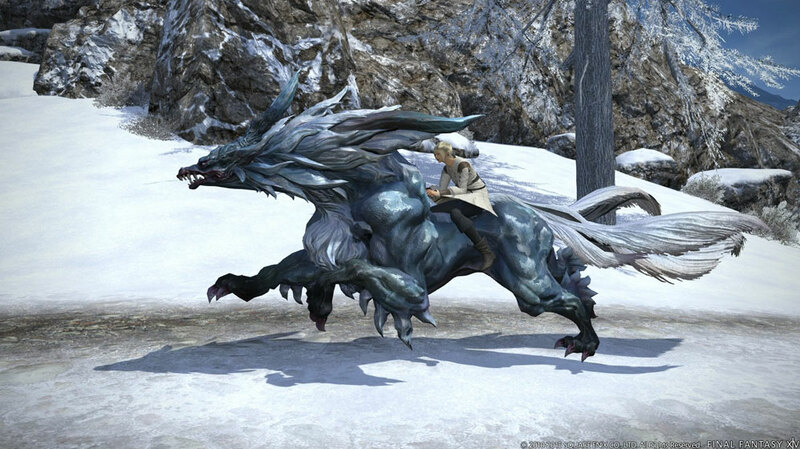 Unless you purchased a Collector’s Edition of either A Realm Reborn or Heavensward, this will likely be your first mount. Please note, however, that you will not be able to ride any of those others until you reach this point in the game. While not a direct reward from the main quest line, “The Company You Keep” mission rewards you with membership into one of the Grand Companies, either The Immortal Flames of Ul’dah, The Twin Adder of Gridania, or The Maelstrom of Limsa Lominsa. After you are sworn into your preferred company, you can purchase your chocobo whistle from the respective Quartermaster for 2,000 Grand Company seals. This happens shortly after you hit level 20. 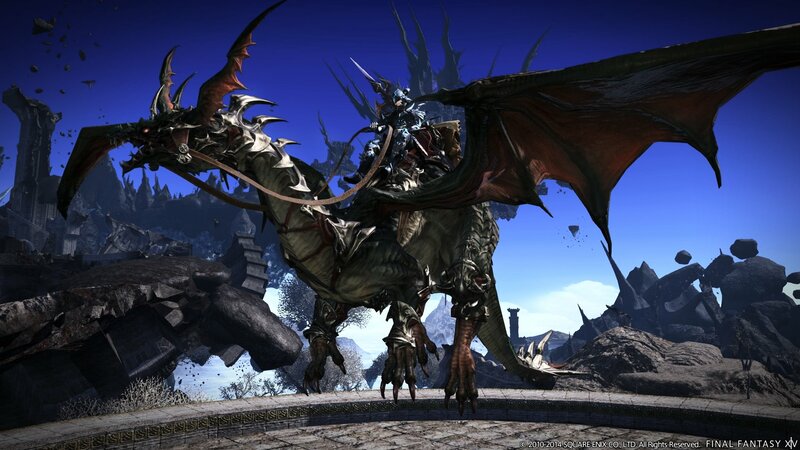 This hulking mass is your reward for completing the quest: The Ultimate Weapon, obtained from Rauban in Northern Thanalan (3,3), which sends you through The Praetorium, the second of two main story dungeons which bring the Seventh Umbral Era to a close. Caution: watch for inattentive Lalafells when operating this motor vehicle. 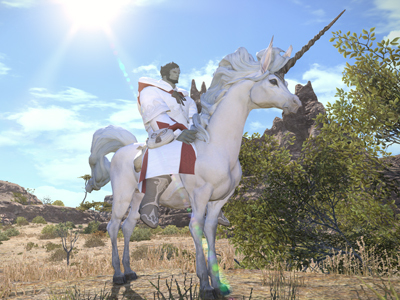 This mount requires the purchase of Final Fantasy’s newest expansion: Heavensward, and is your reward for completion of the “Divine Intervention” quest obtained by the House Fortemps Steward at House Fortemps Manor in The Pillars (6,6). The Black Chocobo has a neat hat, but that’s about it. Oh wait…HE CAN FLY. 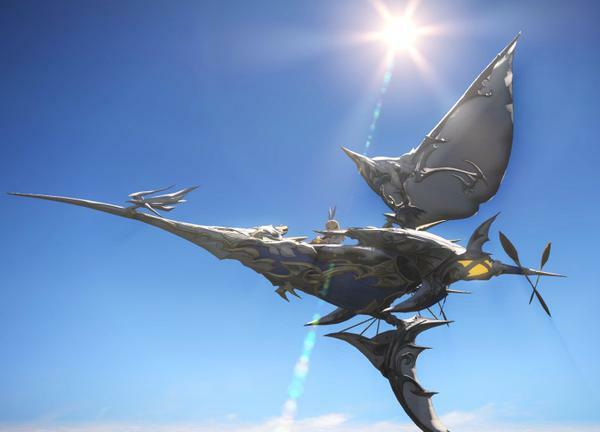 Now, that’s only in the new Heavensward zones: Coerthas Western Highlands, The Dravanian Forelands and Hinterlands, The Sea of Clouds, and Azys Lla, and also only after you’ve attuned with all of the Aether Currents in each of those areas, but really what else are you going to do in this game besides go sightseeing? It’s BEAUTIFUL. 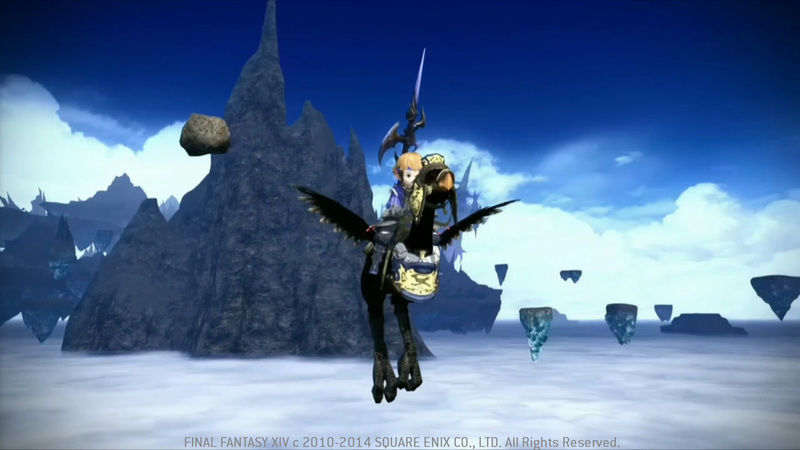 *Fun fact: Your Grand Company Chocobo can learn to fly as well upon completion of the level 52 quest, “I Believe I Can Fly” from Amoulain in Foundation – The Holy Stables (7,11). Hey look a dragon! After all the time this little guy spends sitting on your shoulder, upon completion of the story quest “Fetters of Lament” from Guidance Node in Azys Lla (18,31), he grows into a big ol’ winged beasty that you can ride. 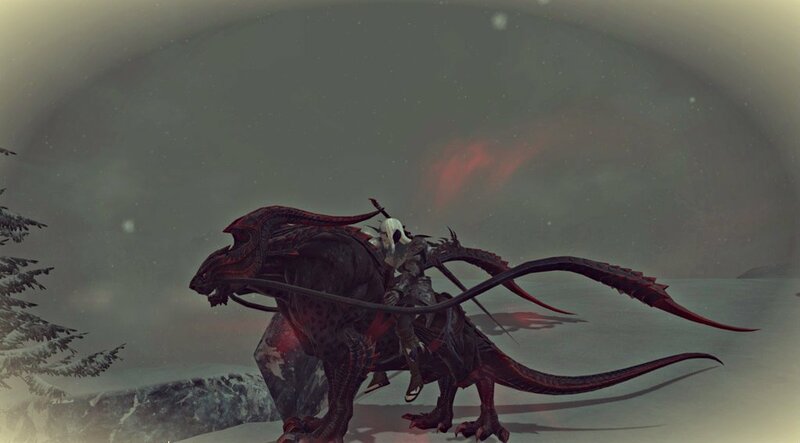 This is easily one of my favorites of the new mounts. I haven’t SEEN him eat any Lalafells, but he’s a dragon so I can’t say he won’t ever. Dragon? No. Horse? Maybe? Por que no los dos? (That’s Spanish for “Why not both?”) Either way this guy looks awesome. 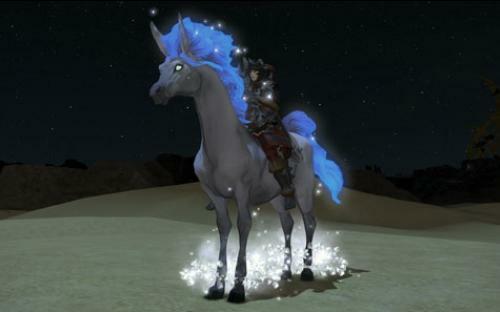 He’s your reward for completing the quest “A Legend for a Legend” given to you by the Wandering Minstrel in Mor Dhona (21,8) after you have obtained all six of the legendary ponies. These are dropped from the Extreme Primals (see below). He sends you to the Rathefrost to “sound the mystic whistle” and “bring forth the beast of legend”. Seriously though, is it a dragon or a horse? I mean if you really WANT to sit underneath literally ticking time-bombs, that’s on you. This mount becomes available to you upon reaching Trusted status with the Kobolds. The daily quest givers can be found at the 789th Order Dig in Outer La Noscea (21,18), but they will only offer to work with you if you have completed the “Highway Robbery” quest in Limsa Lominsa Upper Decks (12,12). Available upon reaching Trusted status with the Sahagin. Their quest-givers are at Novv’s Nursery in Western La Noscea (17,21), and their quests become available after completing “They Came From The Deep” in Limsa Lominsa Upper Decks (13,12). Trusted with the Amalj’aa? This guy is yours. 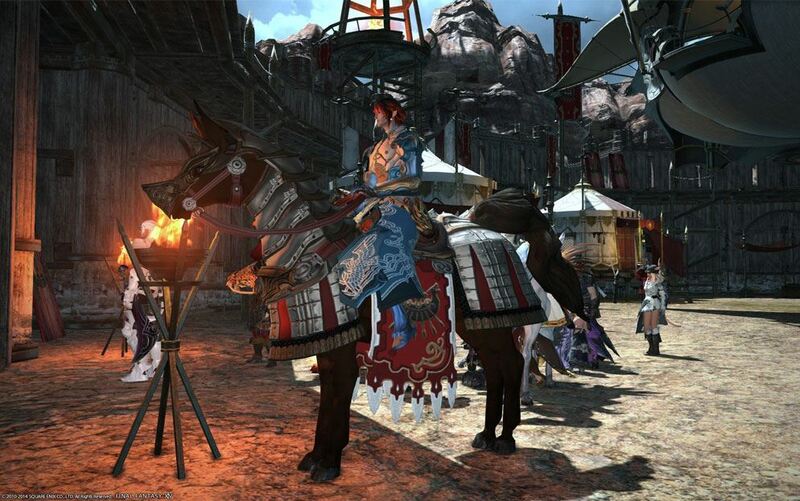 Their quests are at the Ring of Ash in Southern Thanalan (23,14) and can be accessed after completing “Peace for Thanalan” given to you by Swift at the Immortal Flames base in Ul’dah – Steps of Nald. You know nothing Jon Snow. Wait…wrong fandom. 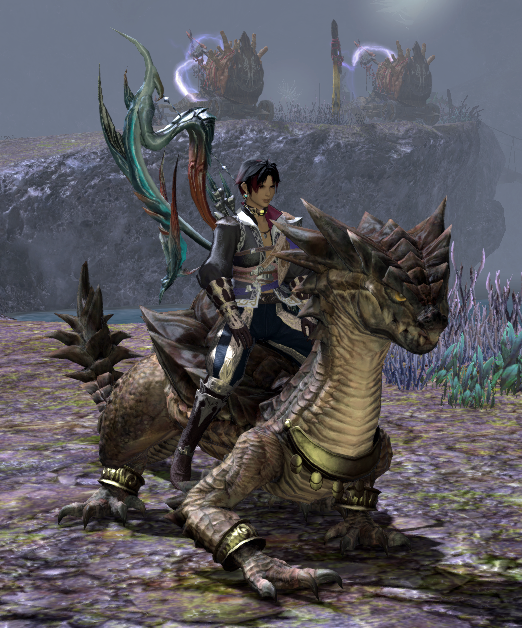 Anyway, this mount becomes available when you earn the Trust of the Ixali in North Shroud (24,22) after completing “A Bad Bladder” from Scarlet in New Gridania (9,11). These daily quests are actually crafting quests, so keep that in mind when you’re pursuing this beast tribe. 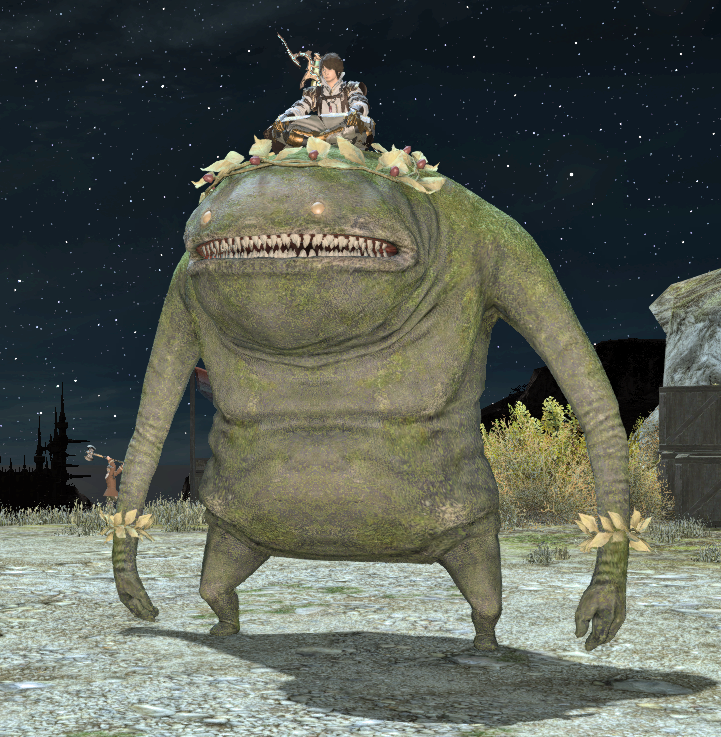 This mount comes from being Trusted with the Sylph in Little Solace, East Shroud (22,26) after completing “Seeking Solace” from Vorsaile Heuloix in New Gridania (9,11). 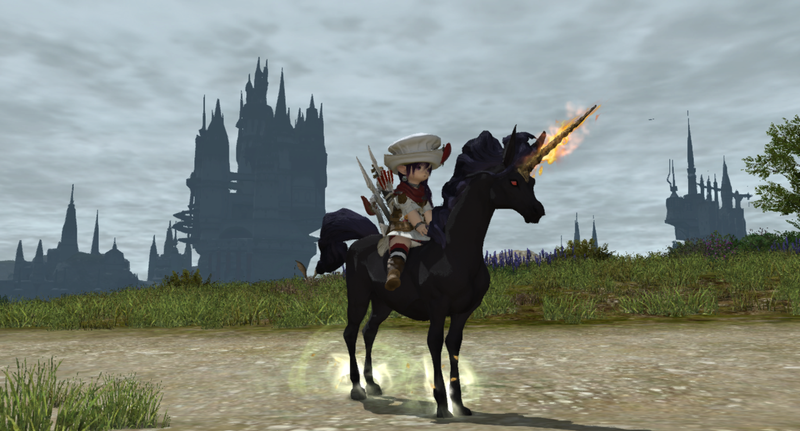 Side note: Lalafells look HILARIOUS riding this big thing. These majestic horses are rewards for defeating the Extreme versions of their corresponding Primal fights. They have an OK drop rate, but are not 100%, so you will likely find some farming parties for those interested in collecting these mounts. 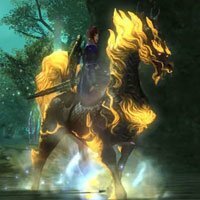 The Ifrit, Titan, and Garuda fights also have a chance to drop a Nightmare Whistle which can be used to summon Nightmare, the demon unicorn with a flaming horn. Seriously? How cool is that?! 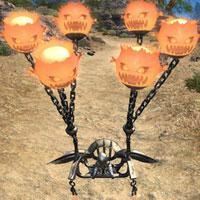 MGP is the currency of The Manderville Gold Saucer. This can be earned by playing games in the Gold Saucer, playing Triple Triad with appropriate NPC’s, and by winning a Cactpot lottery. 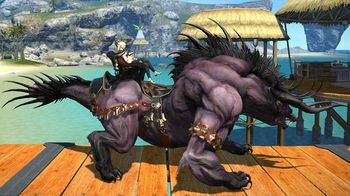 Unless you win the big one, it is a bit of a grind to stock up the MGP required to buy these mounts, just throwing that out there. Purchased for 200,000 MGP from the Gold Saucer Attendant at (5,6) or (4,6) in the Gold Saucer. Purchased for 1,000,000 MGP from the Gold Saucer Attendant at (5,6) or (4,6) in the Gold Saucer. 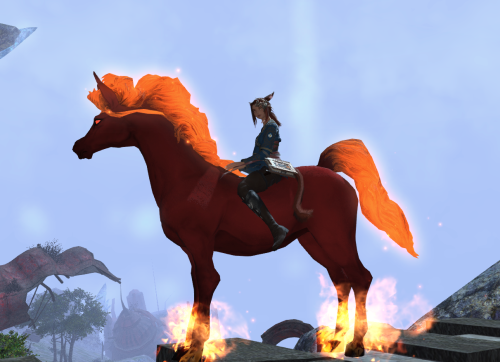 This steed is your reward for winning 100 PVP matches under the banner of the Immortal Flames. This is an achievement reward for earning the achievement “A Line in the Sand IV”. This means you must speak to Jonathas in Old Gridania (10,6) and “tell him a story” for him to give you the Flame Warsteed Horn. Reward for the “A Line in the Glade IV” achievement. Win 100 PVP matches for The Order of the Twin Adder and then speak with Jonathas. Reward for the “A Line in the Storm IV” achievement. Win 100 PVP matches for The Maelstrom and then speak with Jonathas. 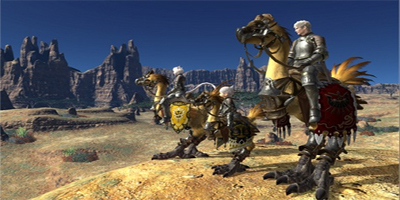 These three mounts are specific to the three tank jobs: Warrior, Paladin, and Dark Knight. They require the completion of 200 high level, full party duties through the Duty Finder to earn the achievement “But Somebody’s Gotta Do It”. 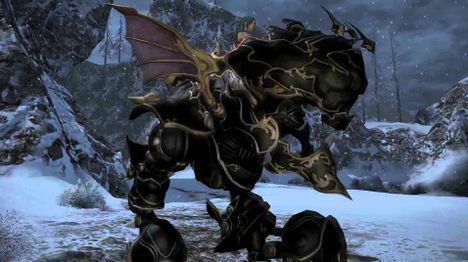 The current duties that apply to completion of the achievements are all of the Extreme Primal fights (this includes Good King Moogle Mog as well as Bismarck and Ravana from the Heavensward expansion), all three turns of the Binding Coil of Bahamut, and all four floors of Alexander Gordias (Savage). The applicable duties change and adapt with the addition of new high level content. 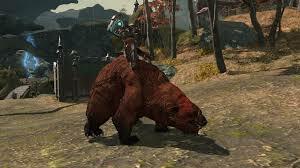 Complete 200 high level duties as a Warrior and you can ride on a bear! 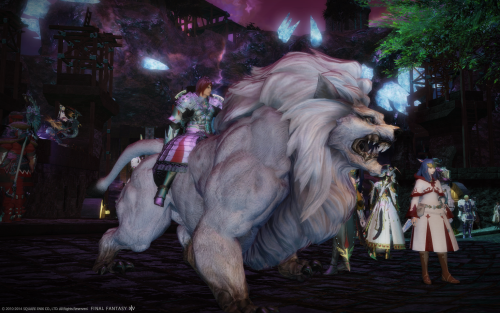 Complete 200 high level duties as a Paladin and you can ride on a lion! Complete 200 high level duties as a Dark Knight (not THE Dark Knight…you don’t have to be Batman) and you can ride on a panther! Player commendations can be awarded by other players upon successful completion of a duty. They are meant to reward the player or players who stood out during the trial. If enough players think you’re the bees knees, then Jonathas over in Old Gridania (10,6) will have a present for you. 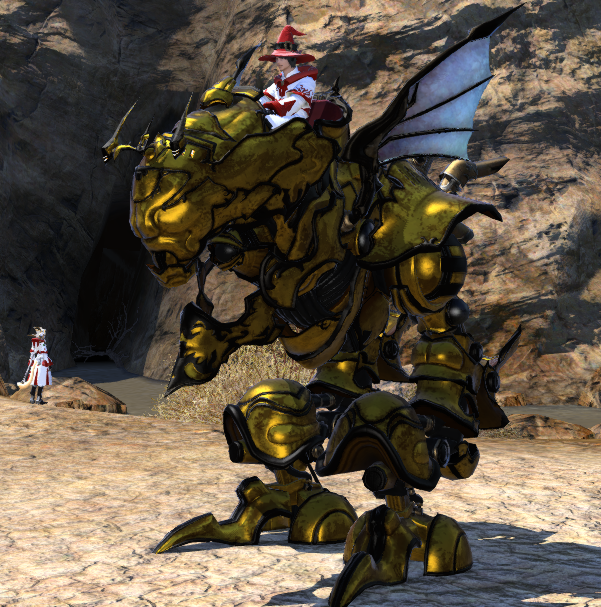 Essentially the same as the Magitek Armor from above, but GOLD. You need only impress 500 of your fellow adventurers to earn this mount. Now THIS is the guy you want. Stand out in the crowd to 3,000 of your compatriots, and you get to waddle around on a chocobo that is CLEARLY well-fed. He is also wearing the coolest little crown on his head to show all of the other fat little chocobos that you are the people’s champion. Well done. 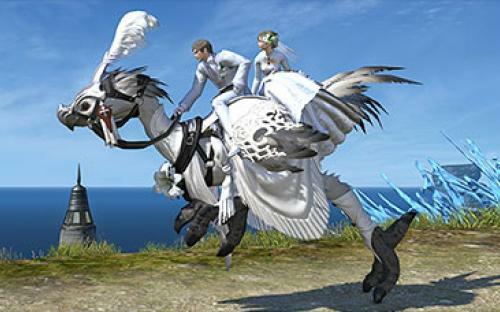 This fancy chocobo is one of your wedding gifts for swearing your technological, undying, cyber-love for another player in-game through either the Gold or Platinum. The Gold Plan costs $10 per person and the Platinum is $20 per person. 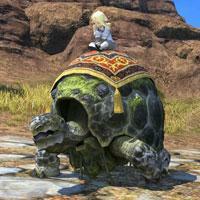 The fun part about this mount is that it seats two, both you and your Eternally Bonded partner. You, too, can ride Odin’s trusty steed for only $24. It can be purchased on the Mog Station. This one is easy to obtain if you actually enjoy playing the game. You need only have subscribed to the game for 90 days (3 months), and Square Enix will thank you by sending this to you in your in-game mail. The 3 months do not have to be consecutive. If you skip a month and then come back, it still adds to your total, so that’s kinda nice. 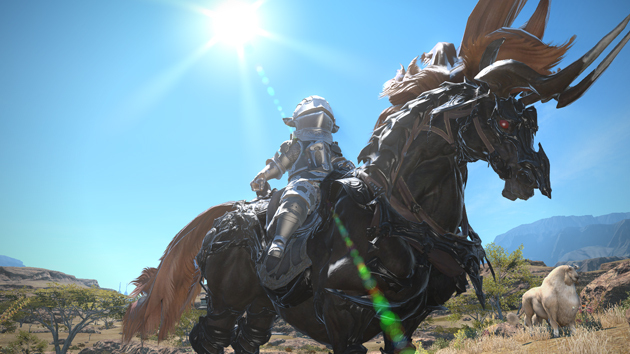 This big guy is Square Enix’s thank you for your 270 days of service to their wallets. I mean the realm! Sorry, the realm. That’s nine months of subs. That’s a Final Fantasy XIV baby. After the time you put in, you’ve earned it. 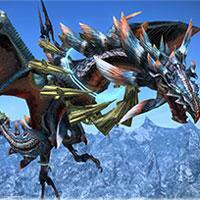 The Big Cat is a reward for purchasing the Collector’s Edition of Final Fantasy XIV: A Realm Reborn. The cool thing about this is that, even if you didn’t purchase the CE from the onset, you can still upgrade your account for $20 to get this and all of the other rewards on the Mog Station. This guy. This guy right here. 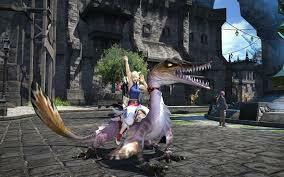 This will be your favorite mount. 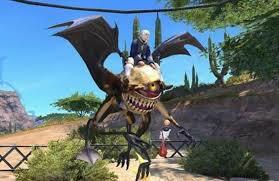 Like the Coeurl, this mount is also a reward for purchasing, or upgrading to, the Collector’s Edition. 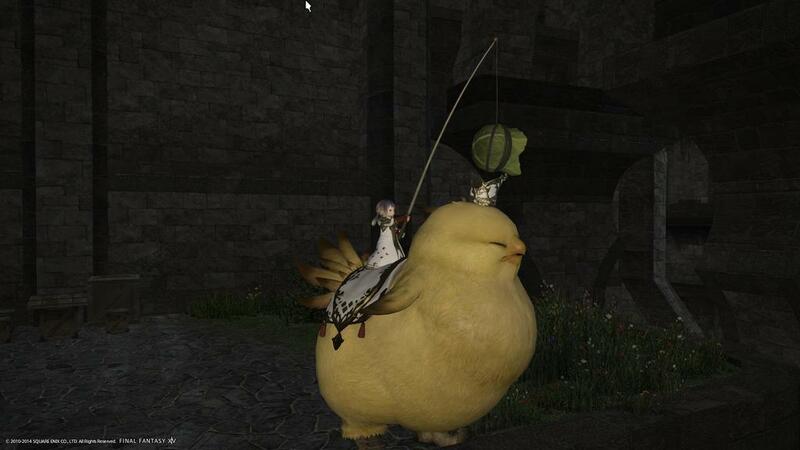 The Fat Chocobo mount, much like the Parade Chocobo, chases a patch of Gysahl Greens on a stick when you’re running. HOWEVER, I will do you one so much better. 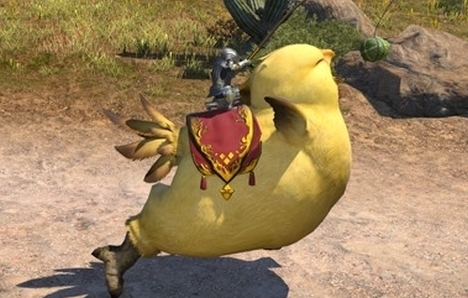 When you complete the “I Believe I Can Fly” quest that gives your Company Chocobo the power of flight, this little guy gets that power too, but instead of Gysahl Greens, HE CHASES CAKE! Guess he needed a little more motivation to fly. It’s amazing. Kudos Square Enix. 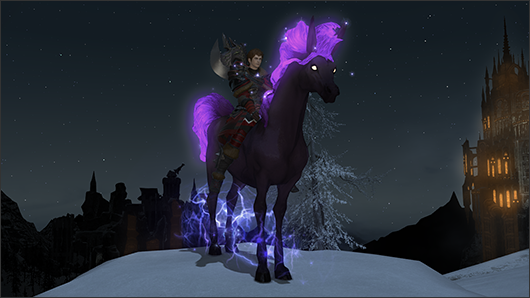 This mount is your reward for purchasing, or upgrading to, the Collector’s Edition of the Heavensward expansion. If you purchase this upgrade, then this will be your first flying mount in the new expansion. Just remember that you cannot fly until you have attuned to all of the Aether Currents in a specific zone. 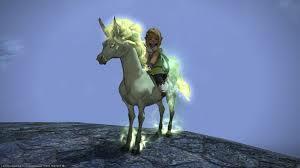 *These final mounts are not so much rewards for purchases that YOU make, but instead for purchases your friends make. 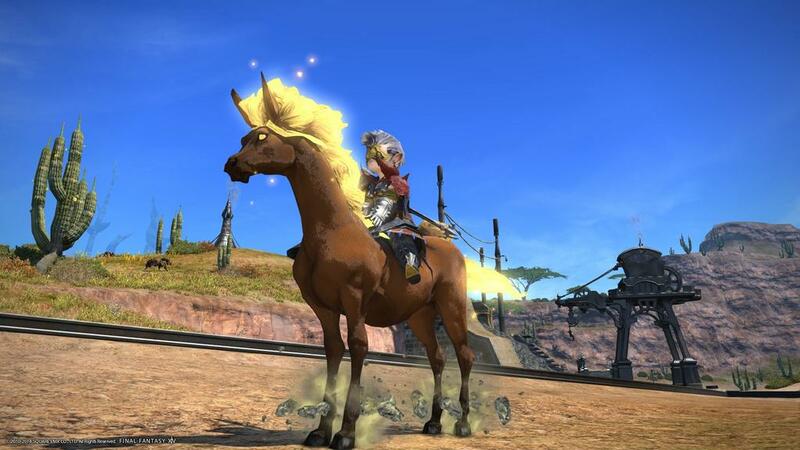 They can be bought with Gold Chocobo Feathers. You earn 5 Gold Feathers for every one friend you recruit, or if your one friend subscribes for 150, 210, and 270 days. 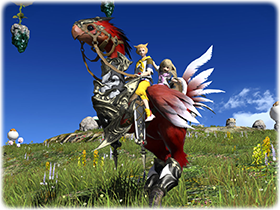 This chocobo, like the Ceremony Chocobo, is a two-seater for you and your recruited friend who has subscribed to the game for over 90 days. 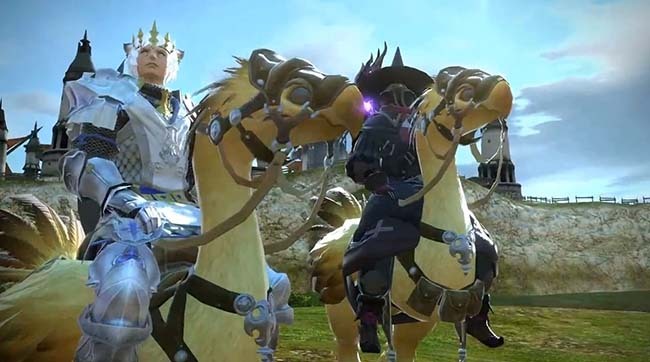 Get your friend to stay for 3 months and you two can ride across Eorzea on chocoback for as long as your little hearts can stand it. Did your friend quit after a week? 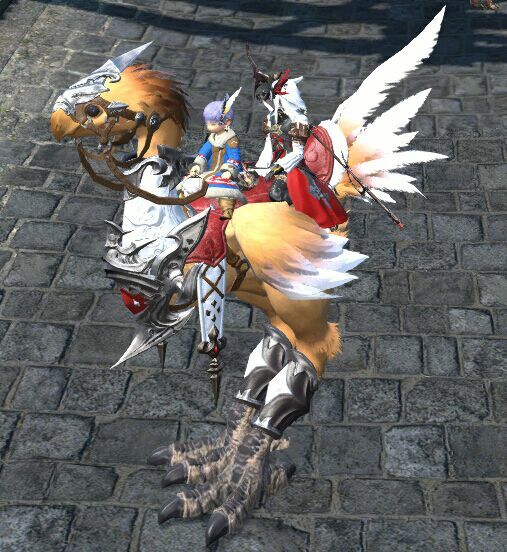 It’s ok. Just recruit another one to get 5 more feathers, because you can also purchase this mount for 8 Gold Feathers at the Calamity Salvager in either Ul’dah – Steps of Thal (12,13), Limsa Lominsa Upper Decks (11,14), or Old Gridania (10,8). This mount is also a two-seater. This is it. The big momma of them all. Remember Turn 5 of the Binding Coil of Bahamut? The enormous brick wall boss that trolled so many people for so long is now at your beckoned call. Talk about a fall from grace huh? For a WHOPPING 15 Gold Feathers, you can divebomb people all over Ishgard (where flying is allowed of course). Twintania can be purchased at the Calamity Salvagers in each city-state as well.